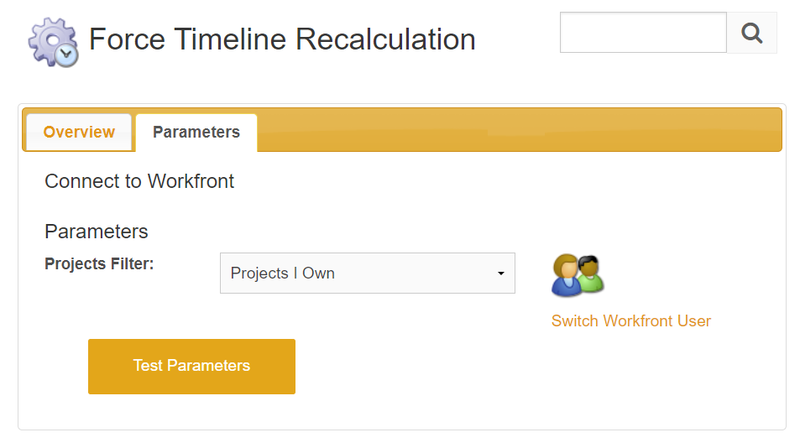 Simply select any project filter and run it to force Workfront to recalculate timelines on the matching projects. Force Timeline Recalculations can also be scheduled to help ensure that your timelines are always up to date. The cost is per run, regardless of the number of Projects recalculated.